It has been reported that Margot Robbie is in talks to portray Sharon Tate in Quentin Tarantino's upcoming Once Upon a Time in Hollywood. Robbie's name has been attached to the project ever since it was first announced that Tarantino was making the movie, but this is the first time that negotiations have been reported. It was revealed back in July that the actress had met with the director to discuss the movie, which also stars Leonardo DiCaprio and Brad Pitt. Once Upon a Time in Hollywood takes place in 1969 and features Rick Dalton (Leonardo DiCaprio) as a former star of a Western TV series and his longtime stunt double Cliff Booth (Brad Pitt). The duo are trying to make it in Hollywood again at the height of the hippy era in a landscape that they no longer recognize. Sharon Tate is Dalton's next-door neighbor, who was brutally murdered by the Manson Family. It was originally thought that the movie would center on Charles Manson, but Quentin Tarantino has revealed that the Manson aspect will be one of the many stories being told together. Leonardo DiCaprio and Brad Pitt officially joined the cast of Once Upon a Time in Hollywood. DiCaprio was rumored for the movie early on, much like Margot Robbie, and this will be his second collaboration with Quentin Tarantino after 2012's Django Unchained. This will also mark the second time that DiCaprio and Robbie have worked together. The two previously starred in Martin Scorsese's The Wolf of Wall Street and this will be Leonardo DiCaprio's first starring role since 2015's The Revenant. Once Upon a Time in Hollywood is said to have a similar tone to Pulp Fiction and it is set to hit theaters on August 9th, 2019, which is also the 50th anniversary of the death of Sharon Tate. Tate's sister, Debra, is not happy about the movie and she has publicly slammed Quentin Tarantino, Brad Pitt, and Leonardo DiCaprio for taking part in the film. She accuses the actors of only doing the movie for a paycheck and claims that they have no idea how much it hurts the Tate family. 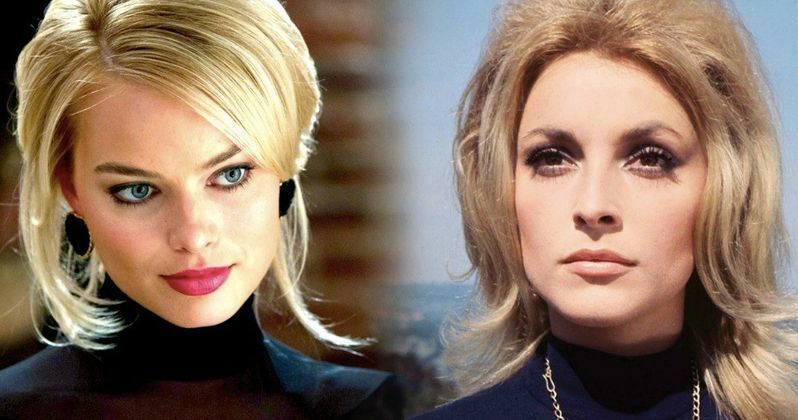 Margot Robbie's Sharon Tate will reportedly be the glue that holds two plots together. Once Upon a Time in Hollywood is centered around the Manson family murders and it is being described as a "unique take" on the 1969 killings of Tate and four others, murders committed by a group led by Charles Manson. While Robbie hasn't officially signed on, it seems that it's only a matter of time before it's announced that she has joined the cast. It isn't clear when production will start, but Quentin Tarantino and his all-star cast will more than likely begin shooting this summer. This report comes to us from Deadline.